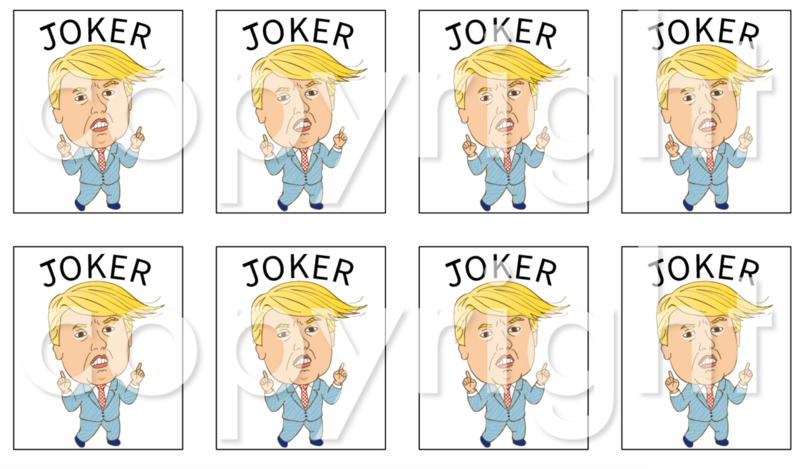 …including lots of Jokers…on this Christmas holiday! 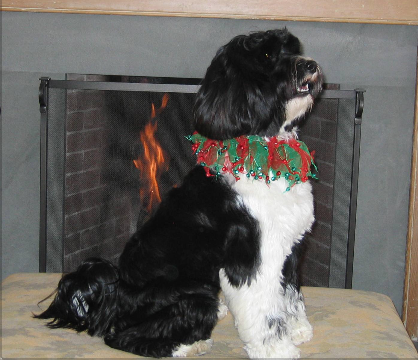 MERRY CHRISTMAS FROM ANN & LIZZIE! 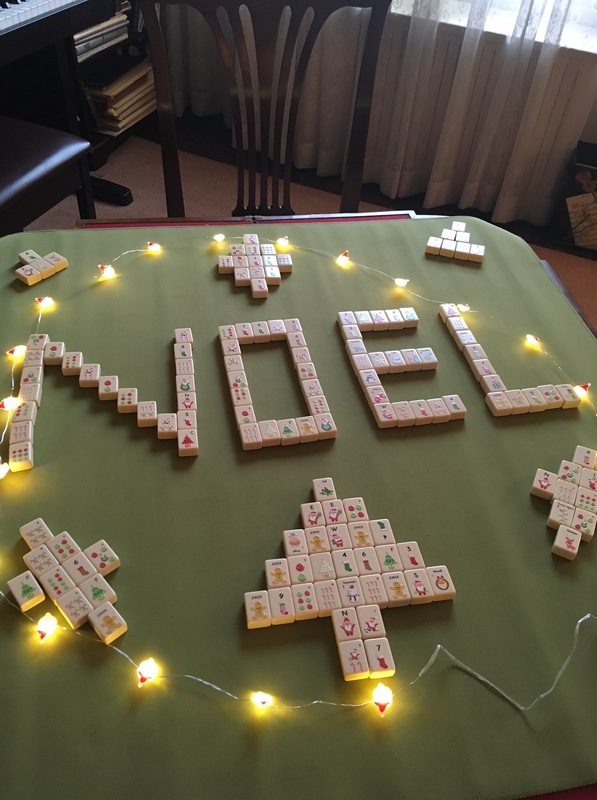 This entry was posted in Mah Jongg and Me and tagged Christmas, holiday, mah jongg, mahjong, merry christmas on December 24, 2017 by Mah Jongg and Me. Well, if you are Forrest Gump, you might say: “My momma always said, ‘Life was like a box of chocolates. You never know what you’re gonna get. 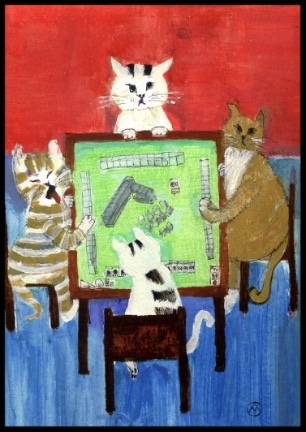 '” But, if you are quoting Blastworks Mahjong, you probably will say, “Life is Like a Game of Mahjong!” Again, you never know what you’re gonna get but you do know that it is gonna be fun! This entry was posted in Mah Jongg and Me on December 20, 2017 by Mah Jongg and Me. 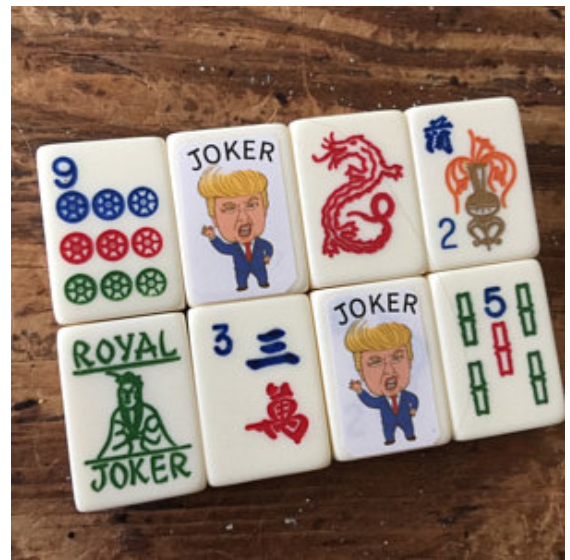 …I am sending you all good thoughts that you received everything you wished for…including lots of Jokers in your Mah Jongg games! This entry was posted in Mah Jongg and Me and tagged chanukah, Hannukah, Jokers, mah jongg, mahjong on December 19, 2017 by Mah Jongg and Me. 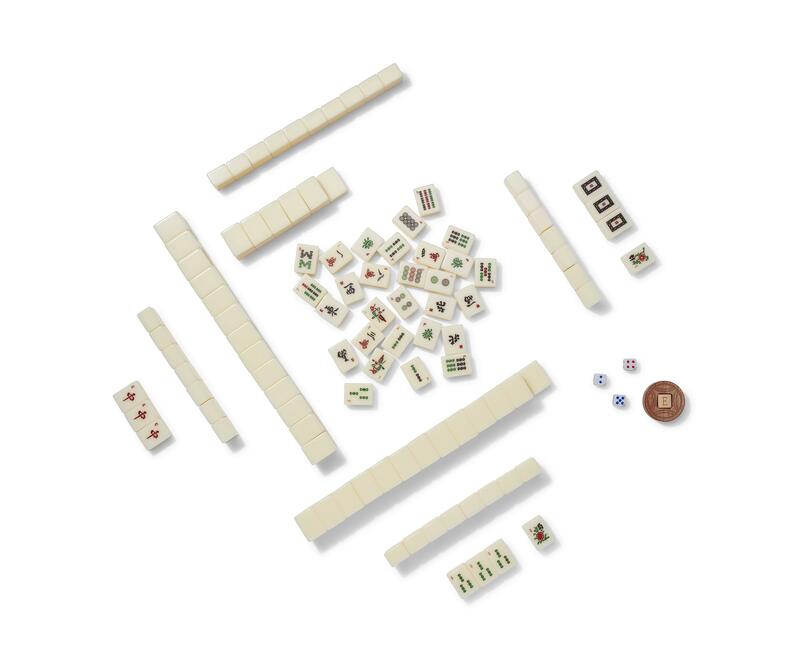 …Toby Salk’s fabulous Mah Jongg pictures! Well, I’m not actually going to post each day for twelve days but I do want to show you some of the fabulous photos that the wonderful Toby Salk posts on her emailed announcements. I look forward to receiving her emails and seeing what terrific and unusual photos she has found. 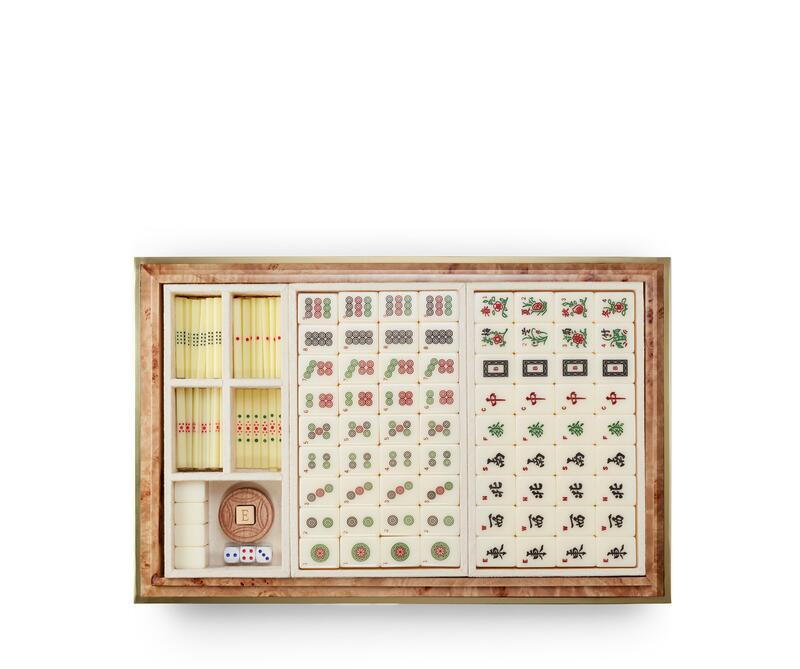 Do you ever find unusual or fun photos with a Mah Jongg theme? If so, send them on to me and I will put them up in a future posting. Much thanks to Toby for sending these great photos! I hope you enjoy them as much as I do!! Look at this gorgeous tile! 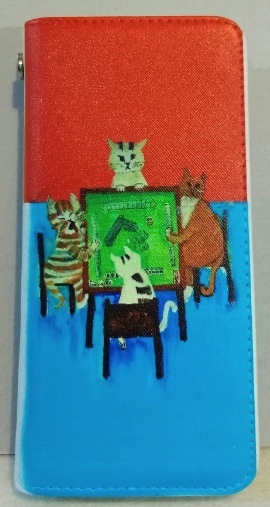 I think Toby must like kitties…especially those that play Mah Jongg! 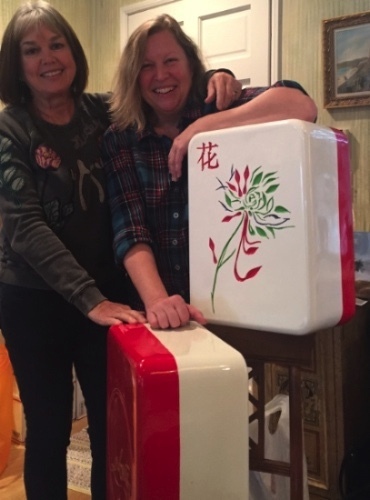 Here is one of my favorites with two of my favorite people – “Look at what Lori gave Johni Levene! 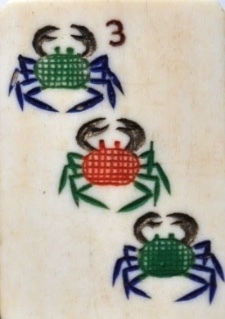 These GIANT tiles are from a Christian Louboutin Mah Jongg themed window. So jealous!! 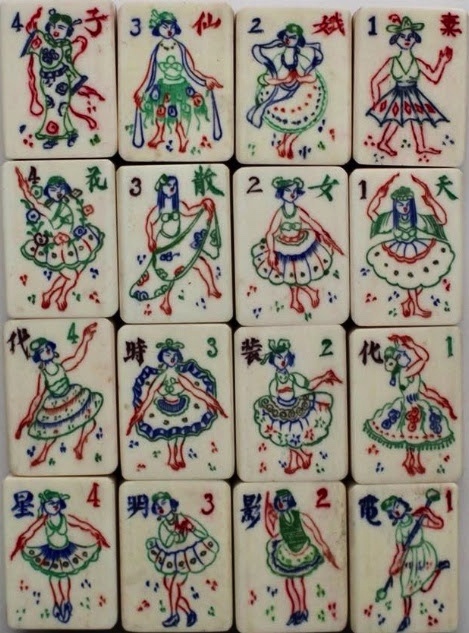 !” Love these ladies with their wonderful Mah Jongg spirit! 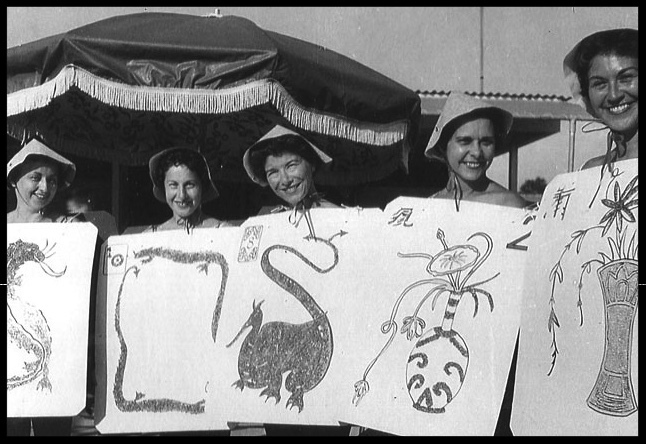 Love these ladies with their wonderful Mah Jongg spirit! This entry was posted in Mah Jongg and Me and tagged Christian Louboutin, Johni Levene, mah jongg, mahjong, Toby Salk on December 11, 2017 by Mah Jongg and Me. 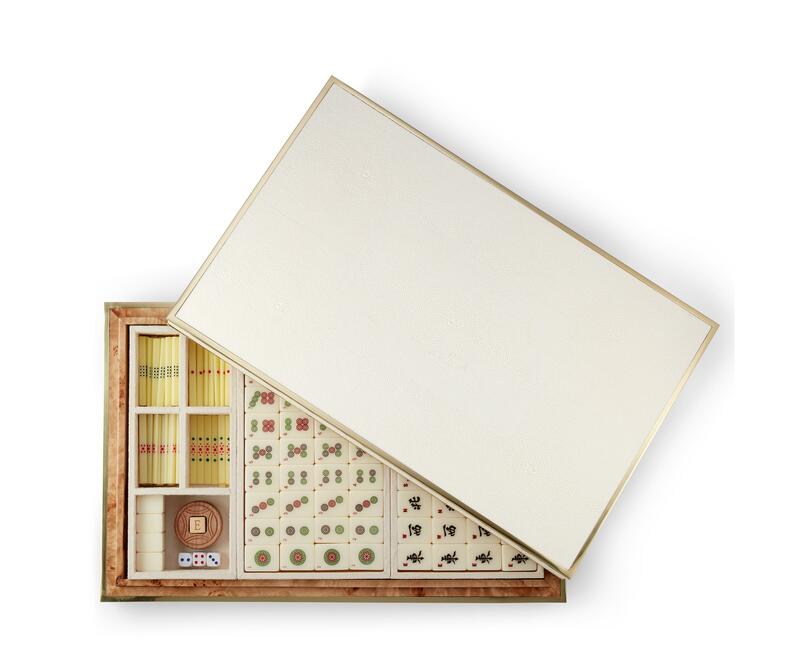 If you are looking for a really unusual holiday gift for your favorite Mah Jongg player – or to add to your own collection – come on over to Aerin Lauder’s website and pick up her Shagreen Mah Jongg set for only $1,250. 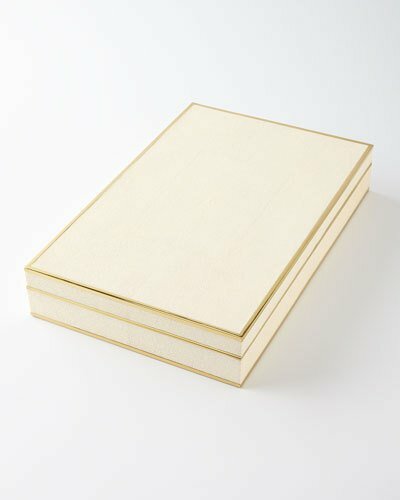 Or, if you want to score some retail points for your purchase, you can pick up this same set at Neiman Marcus or Bergdorf Goodman. 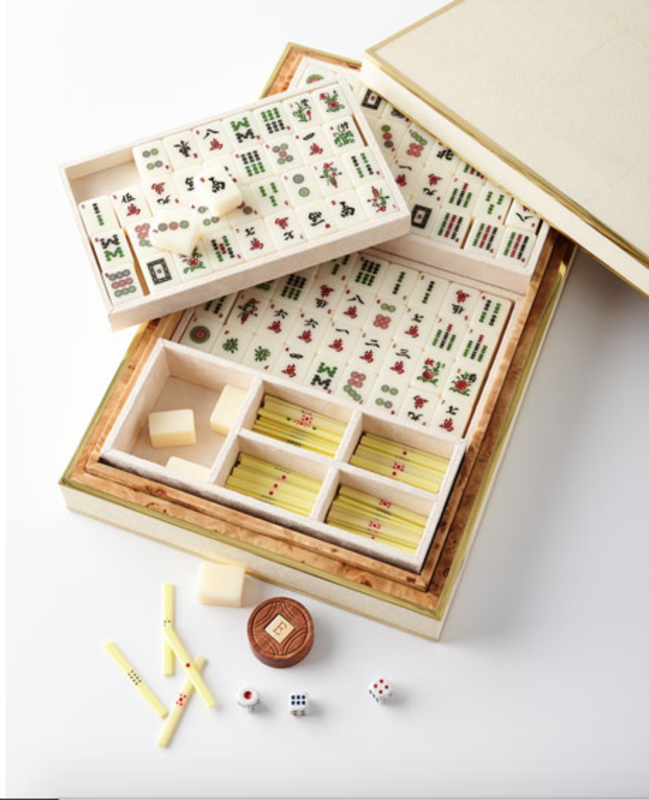 This entry was posted in Mah Jongg and Me and tagged Aerin Lauder, Bergdorf Goodman, mah jongg, mahjong, Neiman Marcus, Shagreen on December 9, 2017 by Mah Jongg and Me. 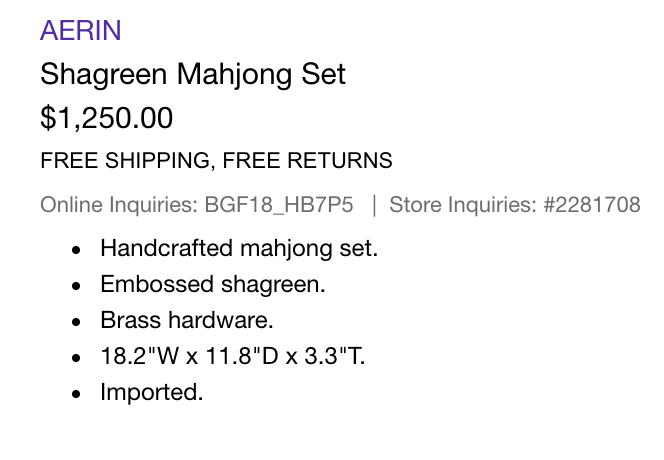 ARE YOU LOOKING FOR MAH JONGG HOLIDAY GIFTS? If so, you are about to see some really funny stocking stuffers/Chanukah gifts at a really great price. 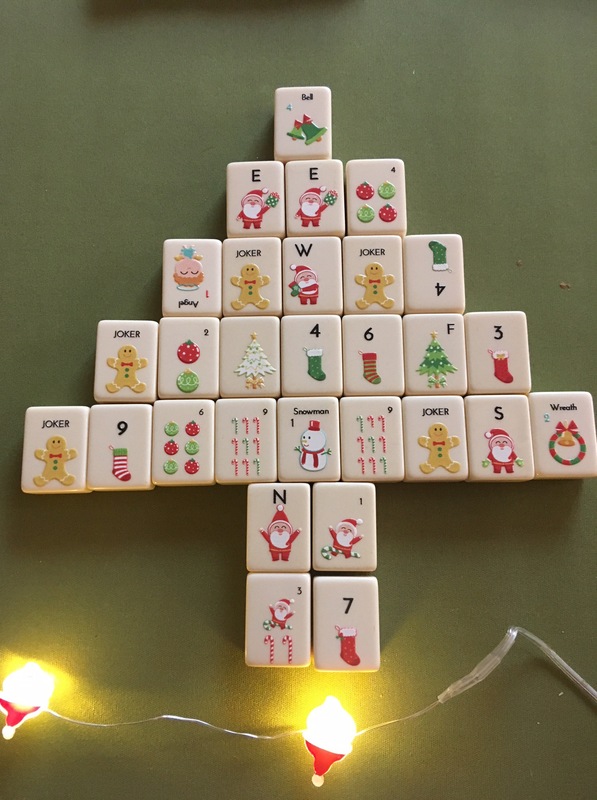 This entry was posted in Mah Jongg and Me and tagged etsy, Holiday Mahjong Christmas Edition, Jokers, mah jongg, mahjong on December 8, 2017 by Mah Jongg and Me.